With our expertise and your interests, we will tailor make your personal adventure tours in Israel. Bike, hike, sail, trek, surf, rappel, climb, paraglide, swim, raft, dive or whatever it is you want to do. These are just a few options that await the adventurer in you. 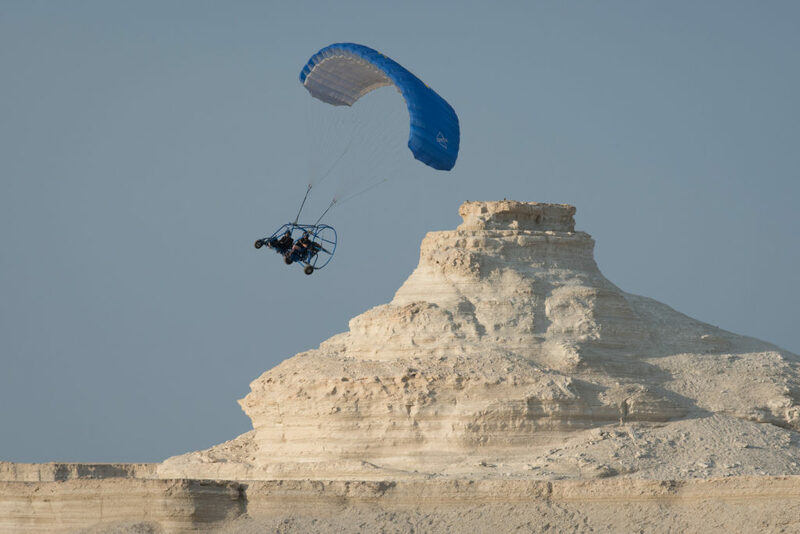 See some of Israel’s most iconic landmarks from a completely new angle – from directly above! Unlike a helicopter ride where you are crammed into a small cockpit, fighting with your friends and family for the window seat, Powered paragliding allows you to take to the air and soar majestically with the sky as your canopy, the ground beneath your feet and a full 360 degree view around you. Its absolutely breathtaking and suitable for all ages from 6 to 96. Want a little more action? Hit the mountain biking trails, again with our support team in tow. Bike down the great Gilboa Mountain Range, the same place where King Saul made his last stand against the Philistines. Or climb Mt. Tabor and bike the trails along its summit with a spectacular view of the Jezreel Valley below. It is not just a biking adventure but a journey through the pages of the Bible. Visit Israel in a way you never seen before: Off the beaten track. Many options are available to you. Hike in the footsteps of the Israel Defense Forces, Crusading nights, Saladin’s warriors or the conquering Israelite soldiers. Glamping is camping in comfort and style. Choose from dozens of incredible locations and enjoy spacious tents & quality mattresses with white bedding, an elegant relaxation area with resting cushions, coffee tables and candle lamps, an under-the-stars dining table, a hot shower & restroom and a camp fire area with chopped wood, arm-chairs & mats. Whether its just your family or a large group on a Bar Mitzvah tour, we’ll bring help you get close to nature without sacrificing all your creature comforts. 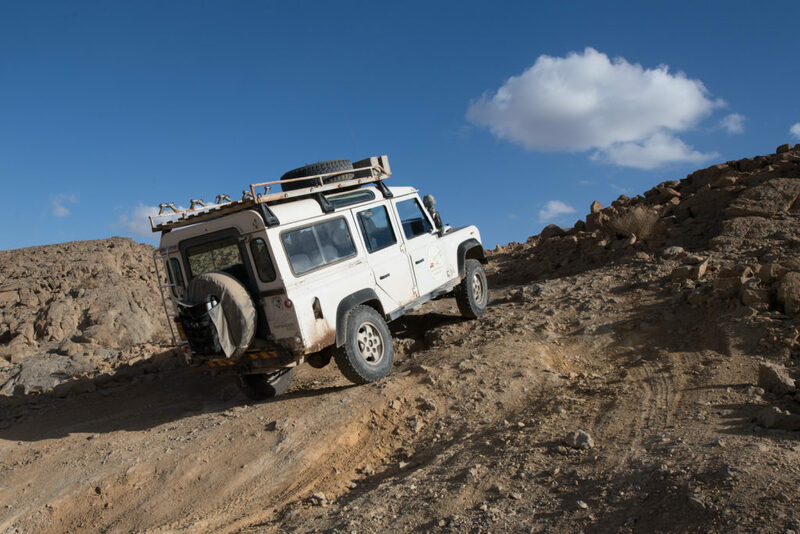 Take a three day off road excursion through the wilderness of the Negev Desert. Wander the land where the Patriarchs roamed only we will by using a brand new LandCruiser or Landrover. Our guide will take you on spectacular hikes with breathtaking views from dusk to dawn. You will be accompanied by a support team who will prepare your meals and tell you local legends by the campfire under the desert night sky. Camel ride at sunset to the middle of nowhere…and appreciate the beauty of the Negev Desert where Abraham, patriarchs and prophets once roamed. Sleep at a Bedouin camp under the stars, at a lamb roast with lute playing musicians before catching a few zzz’s and waking before dawn to hike to the top of King Herod’s famed mountaintop fortress overlooking the Dead Sea and Mountains of Moab to experience the Dawn at Masada. After the spectacular sunrise explore King Herod’s massive fortress and hike into ancient water cistern’s, to Roman Camps, rebel strongholds, ancient bathhouses and palaces all as the famous story of Masada unfolds. Explore the Jezreel Valley, also known as the Valley of Armageddon, by foot, by glider or by hot air balloon. Perhaps you’d like to do all three? Winter and spring in the Galilee brings this mountainous region to life. Multi colored fields of wildflowers, hopping gazelles, curious foxes and flowing streams and waterfalls turn this region of Israel into a hikers or off road enthusiast paradise. What better way to learn how to surf than in the Mediteranean Sea on the beaches of one of the hippest cities on the planet? Tel Aviv awaits. Explore this incredible city by day and by night. You are in for an adventure. Check out Israel’s very own “Grand canyon” by foot, jeep or just scale down the side on a rope! Stunning marine life, unique sunken ancient ruins, ship wrecks…. From the well preserved natural beauty of the Red Sea, to the Mediterranean – the ancient world’s super highway, there is something for all diving tastes in Israel. Israel is blessed by having access to two very different seas – the Red Sea in the South and the Mediterranean to the West. The Red Sea offers diving in one of the world’s best coral reef environments visited by more than 1200 species of fish, dolphins, reef sharks, sea turtles and other marine species. In addition to its stunning marine life, the Mediterranean also offers treasures such as the Underwater Museum of Caesaria where you can dive amongst the ruins of Herod’s ancient harbor.